Certified Professional Dog Trainer, Executive Director and Founder of pranaDOGS. Marcy is focused on improving the quality of life for dogs – specifically mixed breed and shelter/rescue dogs. She has spent the majority of her career working in different dog fields, expanding her knowledge and giving her a well-rounded awareness of dogs as a whole. 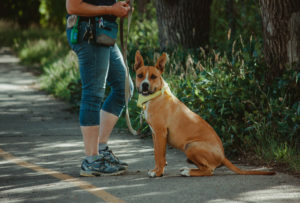 She specializes in helping traumatized dogs get their feet under them and works hand-in-hand with La Plata County Humane Society in Durango, CO.
After spending years donating her time and skills to humane organizations, Marcy founded pranaDOGS non-profit, so she can continue her work and help more in need. 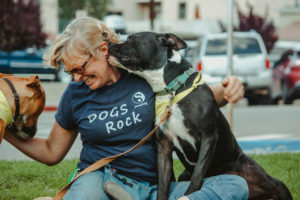 After years of working with dogs in her own home and in shelters and rescues directly, Marcy purchased a 20-acre parcel of land to expand her offerings. 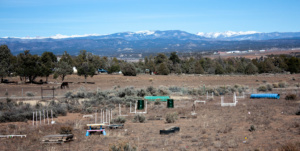 Located just outside Durango, pranaDOGS Behavior and Rehab Center includes acres of dog-friendly land, a 4′ acre confidence course and plans to build much more. Question? or Need additional information?